Blimey! It's a Bloody Great British Film Sale! - Hello! Welcome to my blog! Blimey! It's a Bloody Great British Film Sale! In a brill partnership with the British Embassy, Magnavision and Studio World is releasing the very best of the British films and television. Participated by select branches Astrovision, Astroplus, Odyssey and O-Music in Manila area, these stores with feature amazing titles on a sale price! 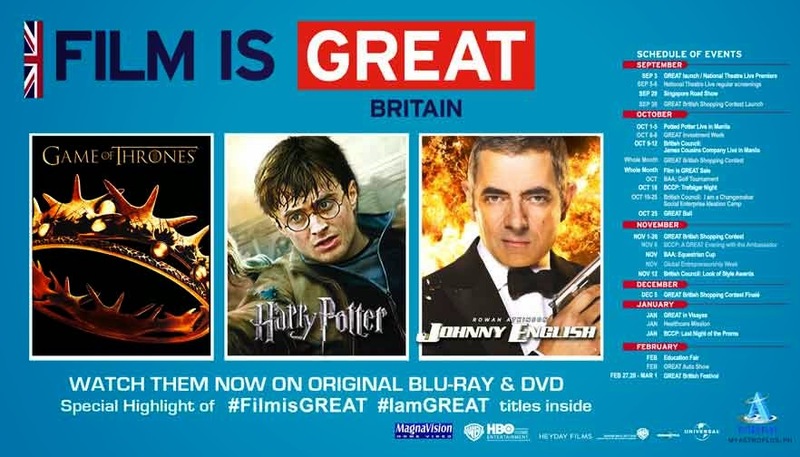 Customers who will purchase assorted British films will also receive a Film is GREAT eco bag, those who will avail of the promotion will also get a chance to win one of five (5) pairs of tickets to National Theatre Live Frankenstein in November. The award winning play features Benedict Cumberbatch as Frankenstein and Jonny Lee Miller as Creature. There sure are a lot of Great British films produced and set in UK, here are some just to name a bloody few. James Bond movies, and British book adaptations such as The Bridget Jones’ Diary, Bridget Jones: The Edge of Reason, Charlie and the Chocolate Factory, and The Chronicles of Narnia. Epic British adaptations such as Harry Potter, The Hobbit, the Lord of the Ring series and the successful HBO mini-series Game of Thrones are also part of the special display along with other films. The GREAT campaign targets film buffs and TV series fans. The GREAT Sale is part of the GREAT campaign that showcases the best of British business and culture. 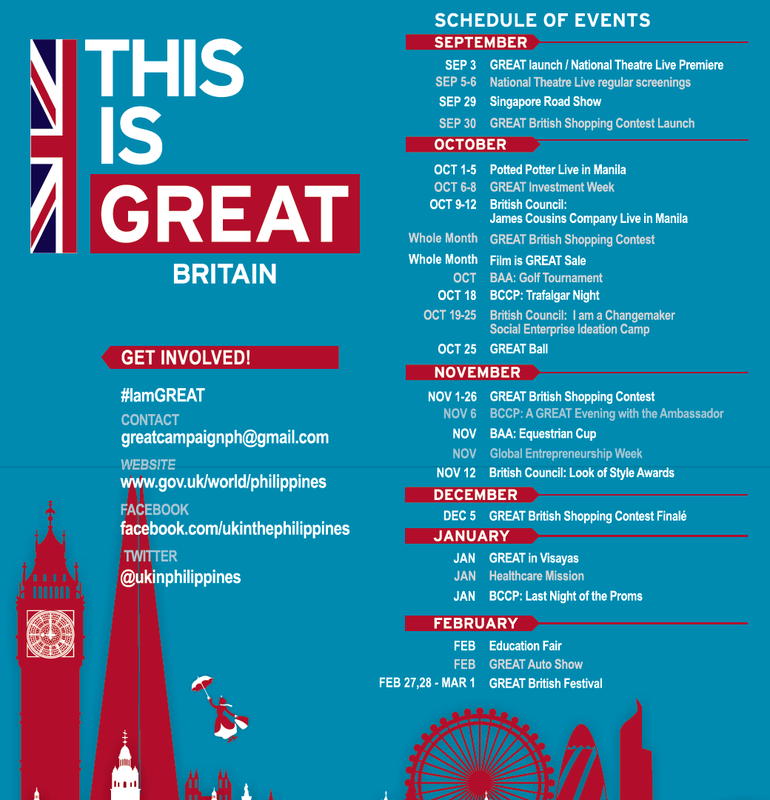 For more information about GREAT activities, visit the British Embassy Manila Facebook page and Twitter account (@ukinphilippines). Resorts World Manila Creature Fest! UNOde50 in 2014 Philippine Fashion Week! Sofitel Wine Days this October! Batman Celebrats 75 years at SM Malls.. The Walking Dead Season 5 exclusive on FOX. The Jacksons Concert Live at Solaire! Free Facebook offer from GLOBE is back! 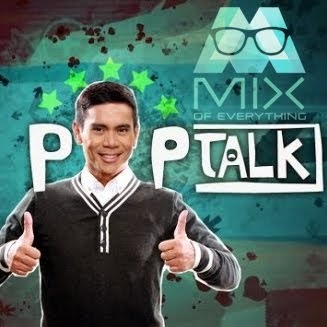 Test blogging using my mail. Forever 21 Debuts Fall 2014 Campaign.